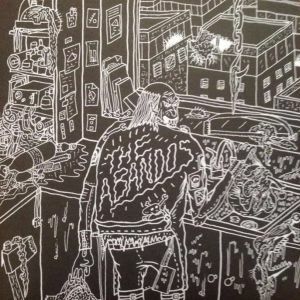 THE ABANDOS are a three-piece band from the fine City of Brotherly Love, Philadelphia. They self-released their new 7″ EP Stiff, showcasing four tracks of noise-crusted punk. To give some proper background info, the Abandos frontman – known to most as Street Kyle – was previously a member of FNU Ronnies and the Chickens. Those bands released records on labels including Siltbreeze, Night People, Richie and Load Records to name a few. His newest band just made a trip up to Canada for the Ottawa Explosion Festival this past weekend, less than one day after headlining the second Styrofoam Drone Showcase in Philadelphia. Their new 7″ includes four smoking slices of noisy punk rock, driven by throbbing bass lines and jarring guitars that provide a perpetual screech throughout the EP. Opener “Stiff” quickly sets the tone, guided by Street Kyle’s tinny shouting over a sloppy yet rock-steady rhythm. The guitars add a particularly dirty but melodic touch to the song, making up a track that is as invigorating as it is catchy. “Blame It On the City” unfolds with a jagged guitar hook, sounding tightly-woven and wiry over a bruising, tom-heavy beat. Street Kyle sings about the trash on the street (“the trash on the street makes me strong/ I love it, I need it and it makes me whole”), which is the perfect encapsulation of this nasty little 7″. Start by listening to these few songs below – we ripped the songs directly from the 7″ vinyl itself! LISTEN to their previous EP from Brusied Tongue ! 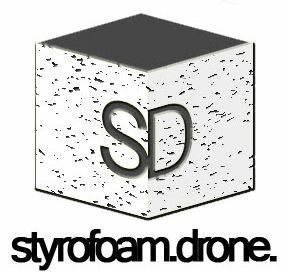 Posted on June 18, 2014 by styrofoamdronePosted in 7", Reviews, Still Spinnin'Tagged Lo-Fi, noise rock, Philadelphia, punk, the Abandos. The Abandos killed it in Ottawa. Pay close attention to them! Very dope spread, and of course the tracks. Salute.